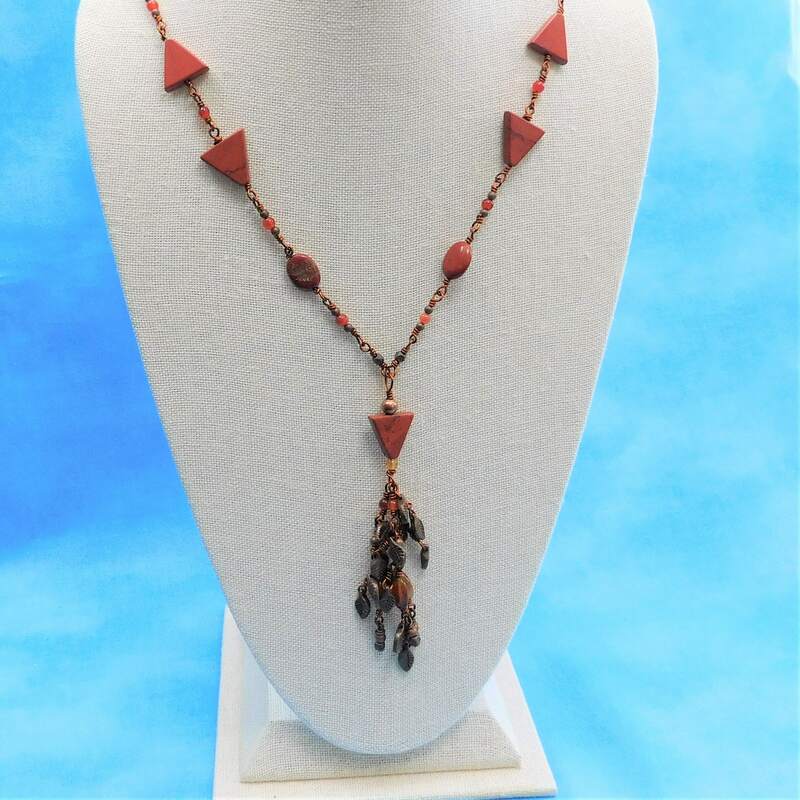 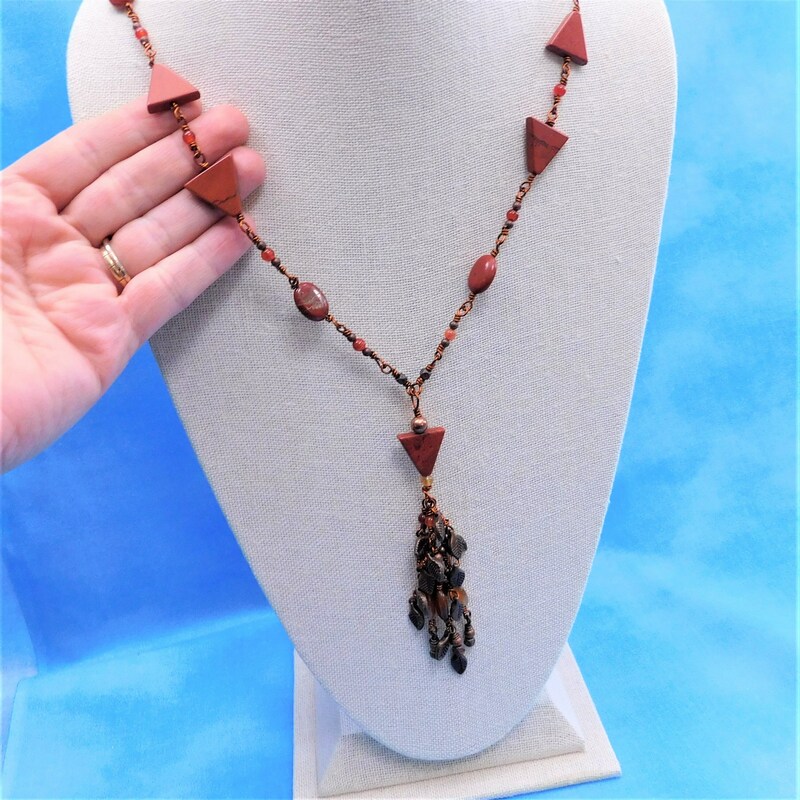 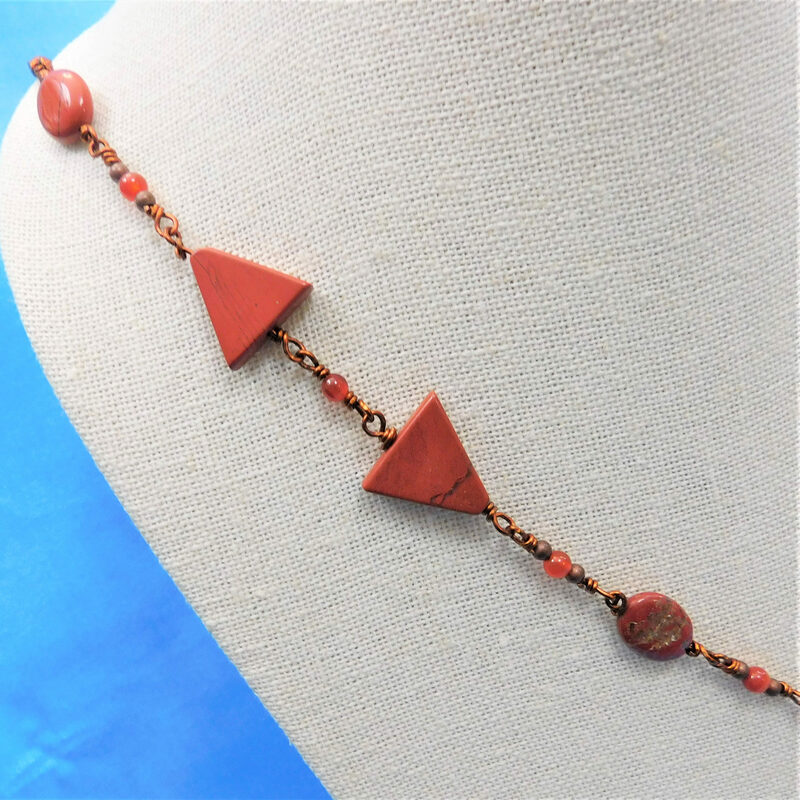 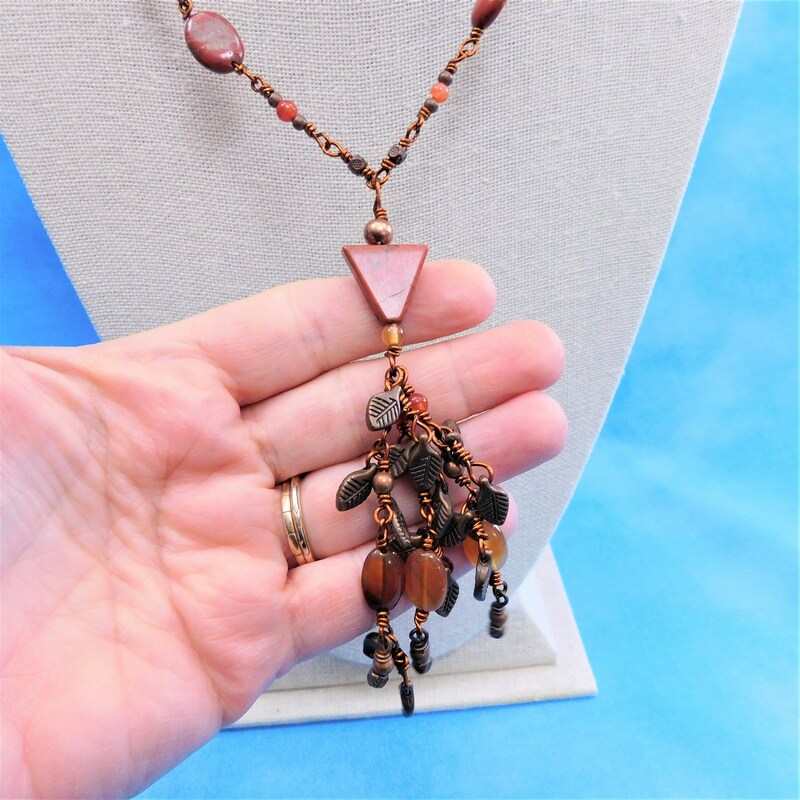 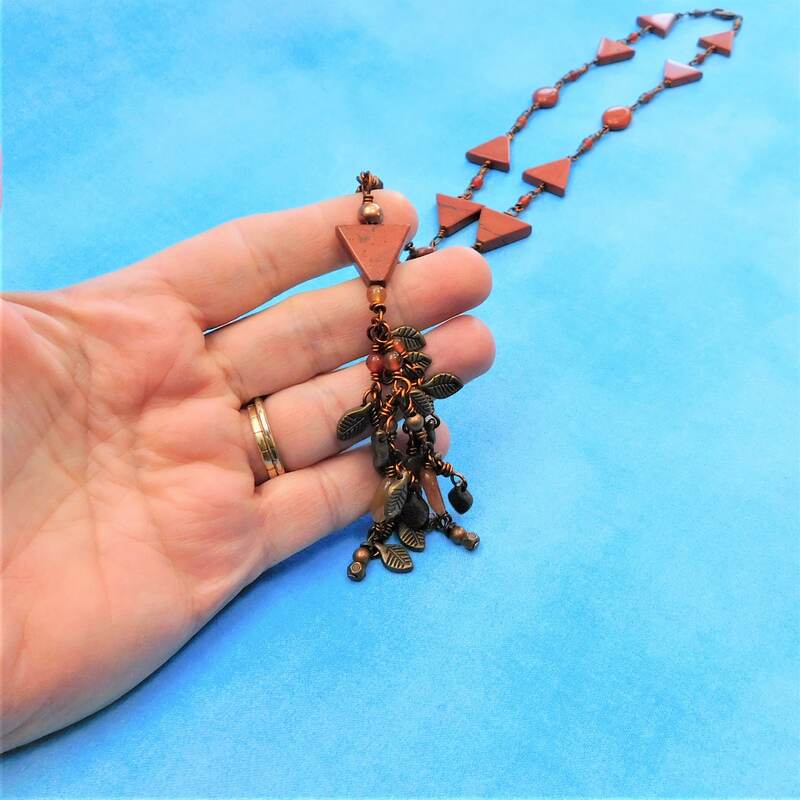 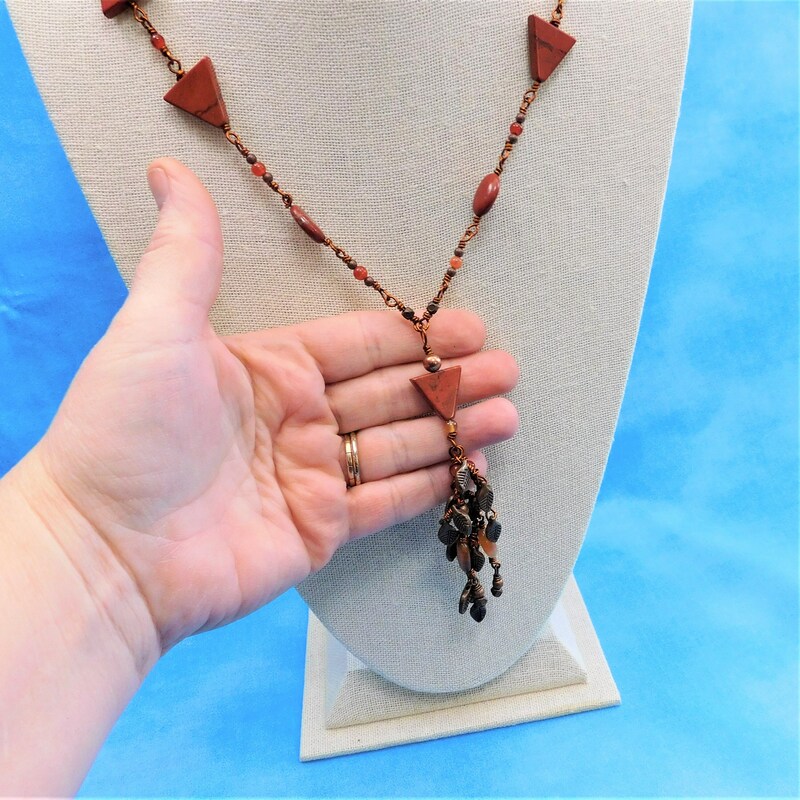 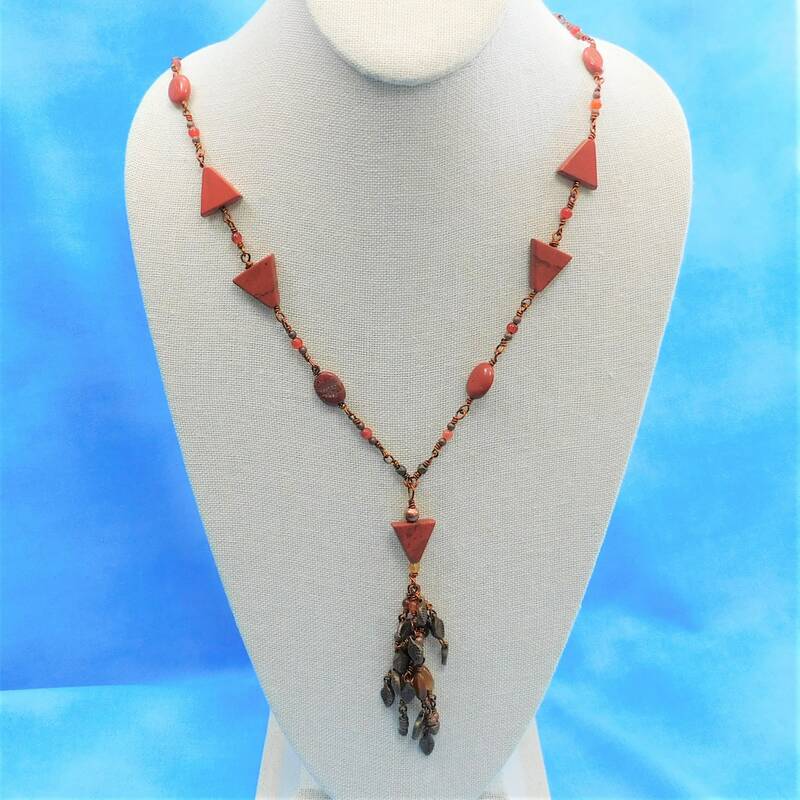 Red jasper triangles and ovals are wire wrapped in beaded links alternating with small copper and red agate beads, finishing in the center with a cluster of red agate, copper leaves, and small copper beads. 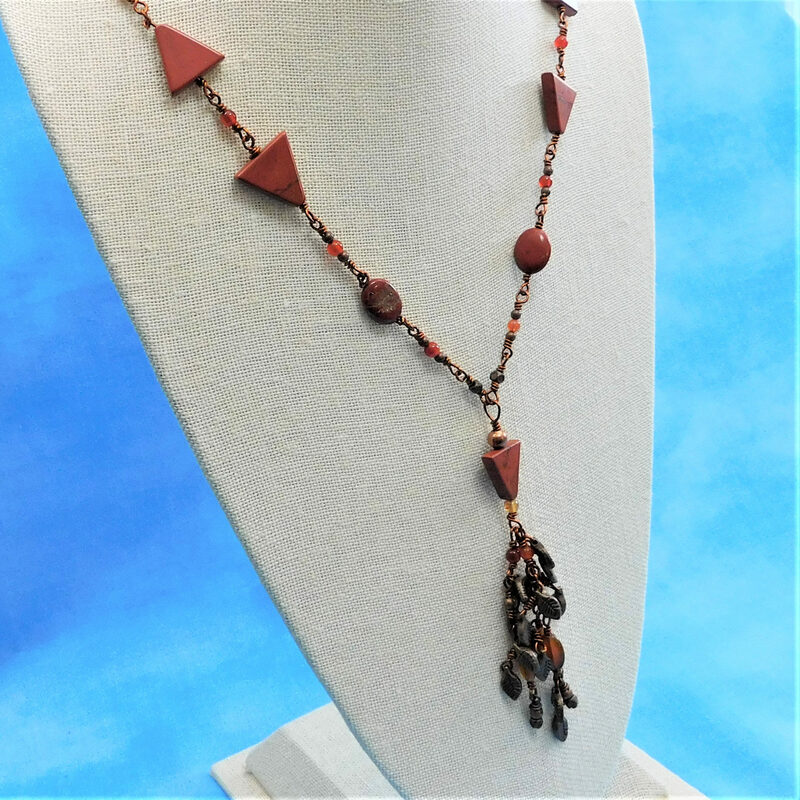 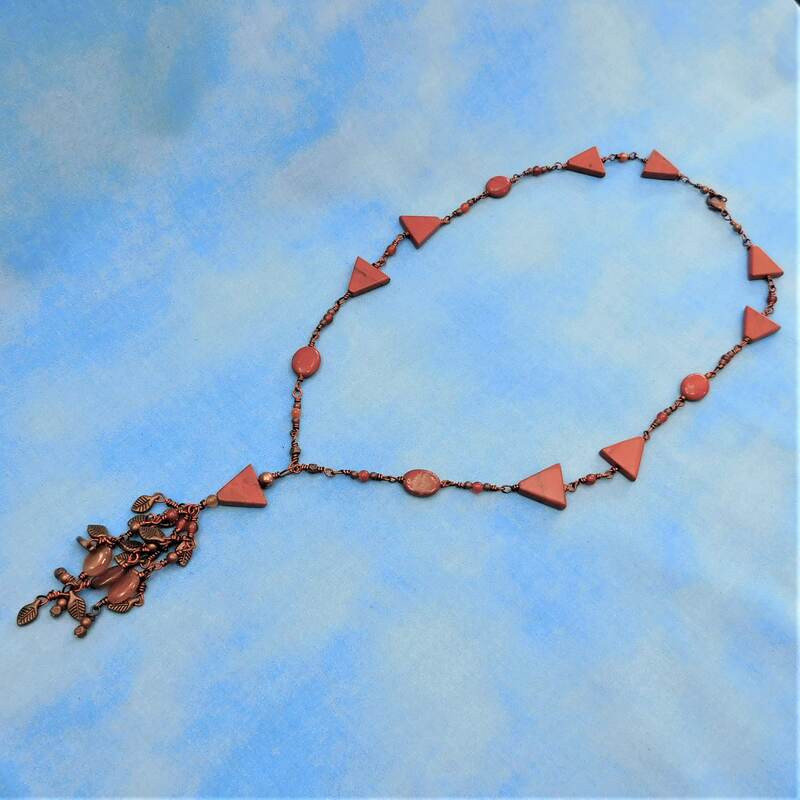 The red jasper stones in this necklace are especially interesting, with inclusions that are not always visible in red jasper beads. 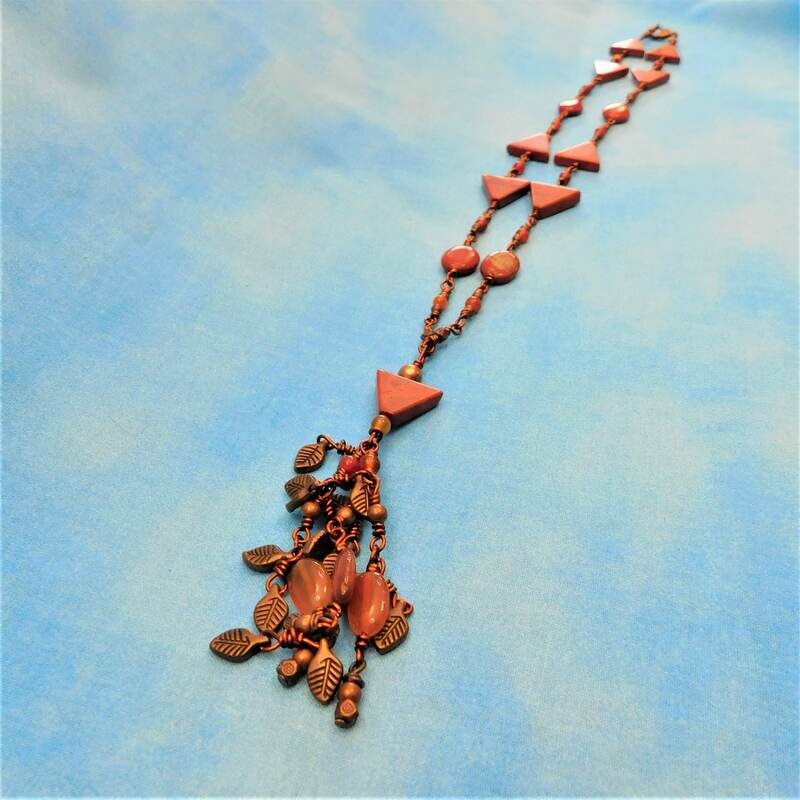 The necklace is 24 inches from the clasp to the cluster, and the cluster dangles 4 inches down from the center.